This beautiful farmhouse, dating from XVIIth century, belongs to architect Marco Costanzi. 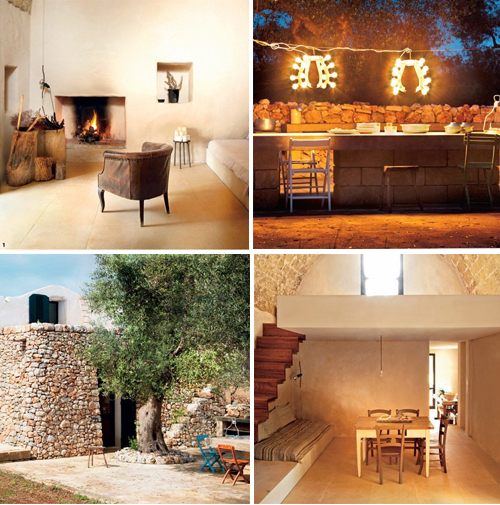 Each summer he and his family come here to recharge and to enjoy the nature of Puglia. The top image shows the bathroom. To maintain privacy without partitioning the room, the architect has built a wall to separate the bathroom from the bedroom. The entire house has been renovated with respect to old traditions. 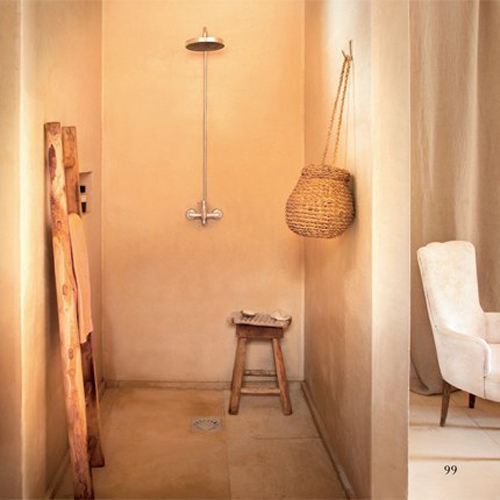 The walls are made of polished concrete and plastered with a powder made from Lecce stone mixed with limestone. 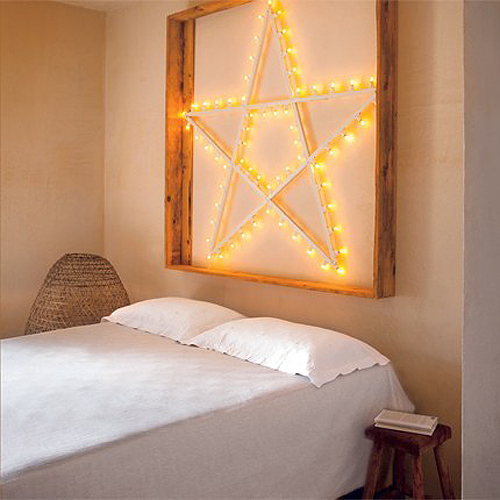 The guest bedroom (image above) is located in the former stables.